For the twice-published novelist, reading an article about herself in the National Enquirer—under the headline "Here's One for the Books: Cleaning Lady Is an Acclaimed Author"—was more than a shock. It was an inspiration. 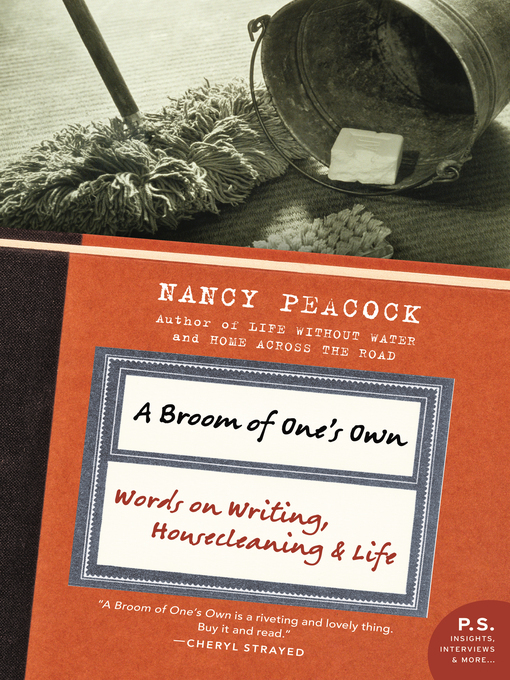 In A Broom of One's Own, Nancy Peacock, whose first novel was selected by the New York Times as a Notable Book of the Year, explores with warmth, wit, and candor what it means to be a writer. An encouragement to all hard-working artists, no matter how they make a living, Peacock's book provides valuable insights and advice on motivation, craft, and criticism while offering hilarious anecdotes about the houses she cleans.